Pioneer Bank is a community bank, this means our employees are vested in our neighborhoods and work hard to help improve our communities. Many of our employees are involved with and volunteer in so many different organizations. One such employee is Leigh Humble, who works in the back office at our corporate headquarters. Leigh is an amazing person who always brightens your day and is sure to tell you ‘good morning’! She is a member of the Pecos Valley Dart Association. 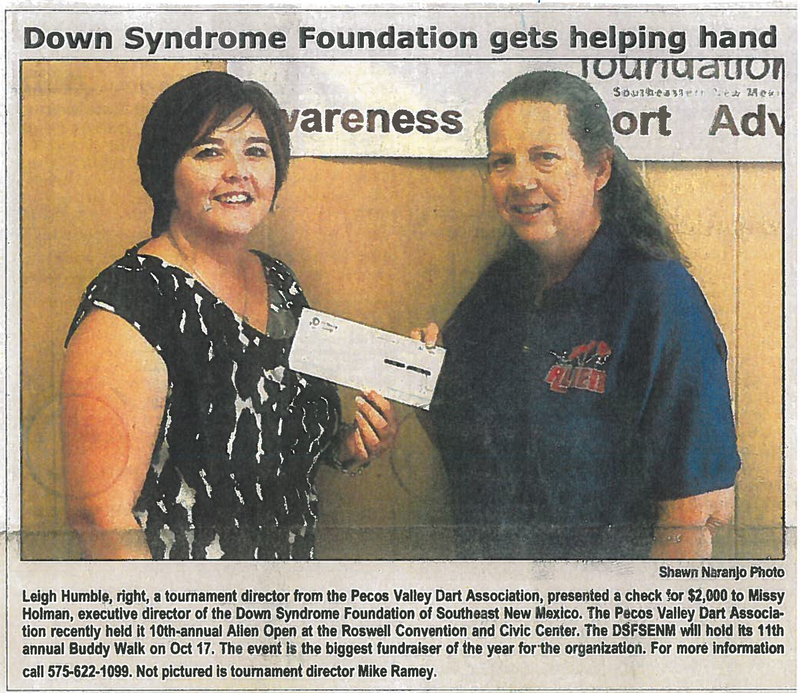 They recently had a tournament and this years beneficiary for the fundraiser is the Down Syndrome Foundation of SENM (their Buddy Walk is coming up in October). We are proud of you Leigh and thanks for being a part of the Pioneer Bank family! Tags: community, employee, family, service, volunteer. Bookmark the permalink.